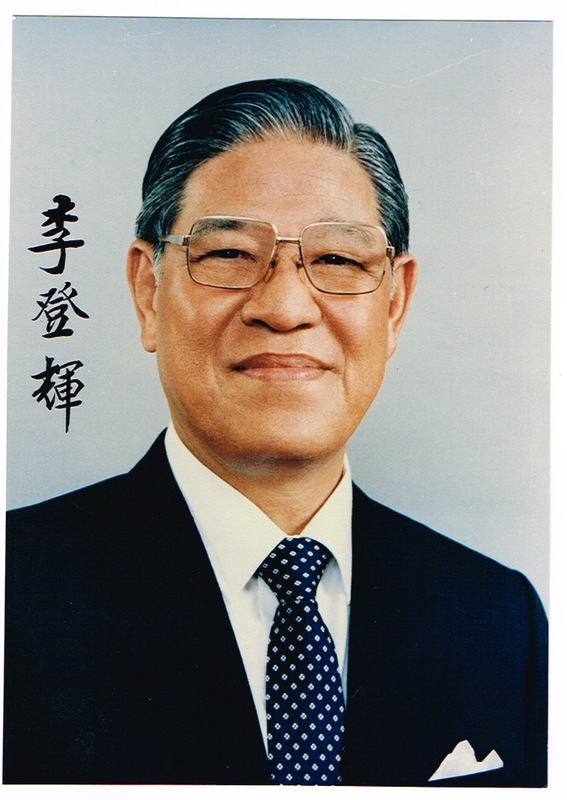 "father of Taiwan's democracy", is a politician of the Republic of China (commonly known as Taiwan). 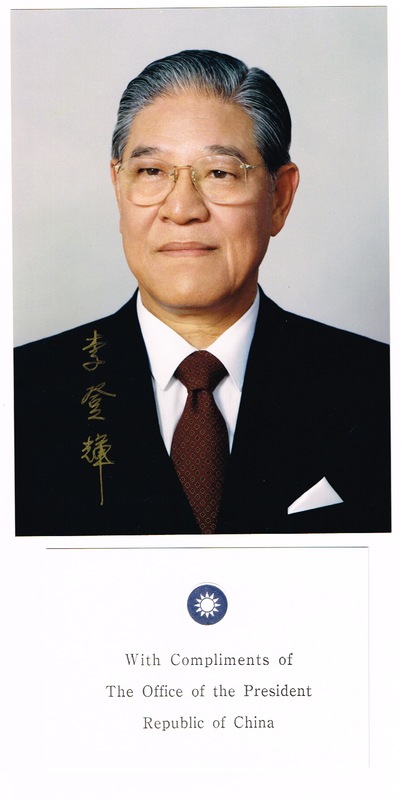 He was the President of the Republic of China and Chairman of the Kuomintang (KMT) from 1988 to 200 Signed colour portrait photograph. n.p.n.d. 175 : 127 mm. Nice signed official colour photograph of the Chinese politician. Together with a printed card. 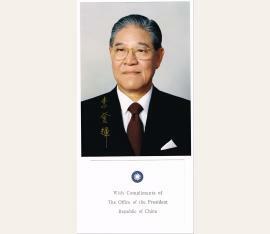 - He was the President of the Republic of China and Chairman of the Kuomintang (KMT) from 1988 to 2000. 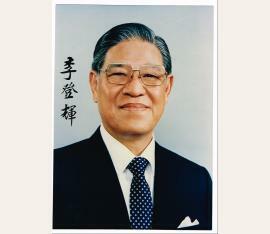 He presided over major advancements in democratic reforms including his own re-election which marked the first direct presidential election for Taiwan. 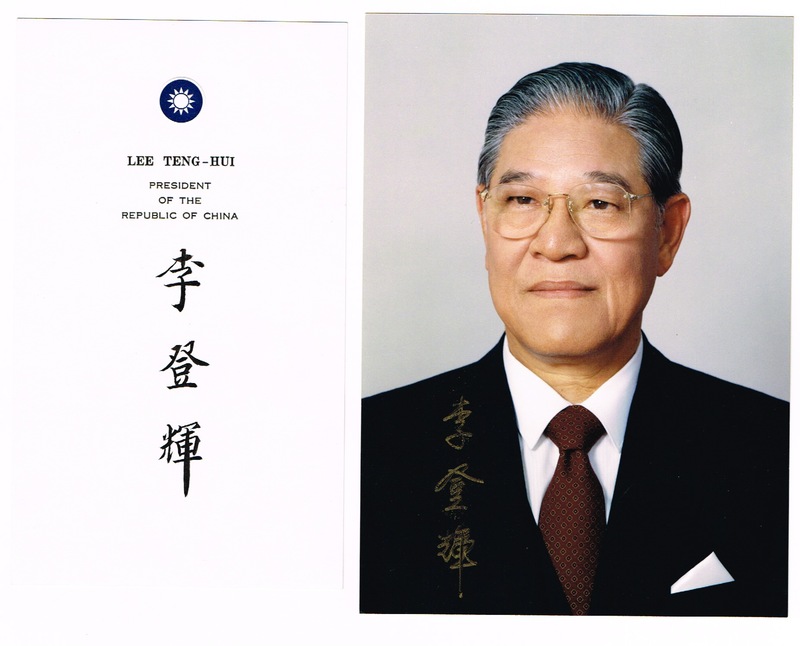 The first Hakka person to become ROC president and KMT chairman, Lee promoted the Taiwanese localization movement and led an aggressive foreign policy to gain diplomatic allies. Critics accused him of betraying the party he headed, secret support of Taiwanese independence, and involvement in corruption (black gold politics). After leaving office Lee was expelled from the KMT for his role in founding the pro-independence Taiwan Solidarity Union (TSU), which forms part of the Pan-Green Coalition alongside Taiwan's Democratic Progressive Party. 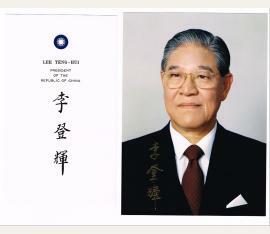 Lee is considered the "spiritual leader" of the TSU, and has recruited for the party in the past. Lee has been outspoken in support for Taiwanese independence though not necessarily a formal declaration. In 2013, a first trial cleared him for his hypothetical involvement in a corruption scandal..
Taiwanese politician who was president from 1988 to 2000 (1923- ). Signed colour photograph. n.p.n.d. 176 : 125 mm.